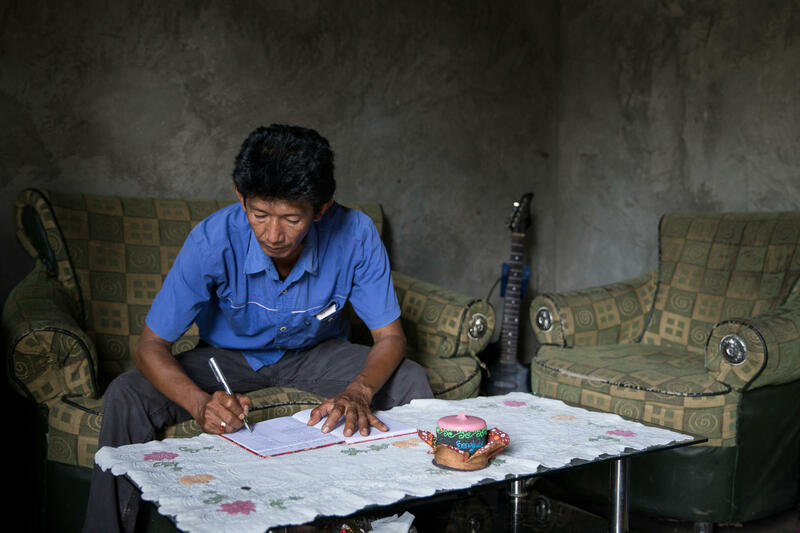 Our work of farmer support goes beyond productivity and coffee quality. The majority of coffee farmers are struggling to make a living and the potentials of the young generation in coffee regions are not cared for. It is our goal to change that. We support farmers and their families to raise their income and competitive position. And we release the potentials of the young generations to shape rural areas of the future. We are working with the most vulnerable smallholder coffee farmer families. 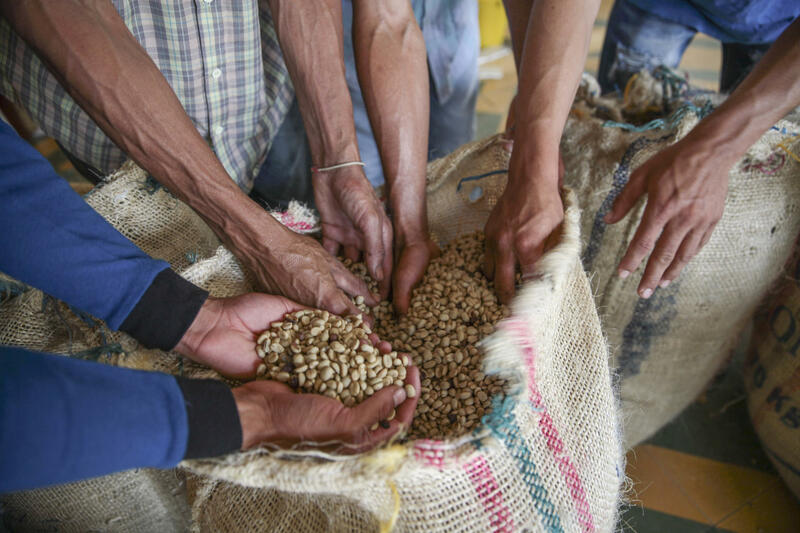 We are implementing hands-on projects with farmer communities, farmer organizations, and local coffee organizations promoting entrepreneurial conduct wherever possible. Our work is pre-competitive and independent. It is funded by private partners such as coffee companies and other foundations, public organizations striving for positive developments in rural tropical regions and to a smaller extent also by using our own resources. Our aim is to improve the livelihood situation of smallholder coffee farmer families’. Partnering with us means changing peoples’ lives by supporting them in fostering their livelihood strategies and bringing prosperity to rural areas. Sustainable and diverse coffee landscapes are indispensable for mutually beneficial supply chains, dignified living conditions, and the future supply of coffee. It requires the combination of skills, experiences, resources, and authority to enable lasting improvement. Total number of countries with ongoing HRNS activities. Participating farmers in Brazil and Trifinio report improved livelihoods according to an external evaluation (average). The accumulated number of farmer households (Q1/18). The aim is to make smallholder coffee farmers competitive on the basis of sustainable practices in order to improve their livelihoods. This vision goes beyond the implementation of individual development projects; International Coffee Partners wants to contribute to the sustainable transformation of the coffee sector at large. The initiative for coffee&climate supports coffee farmers to respond to changing climate conditions. Implemented by HRNS it collects, consolidates and disseminates best practices for adaption in the project regions. 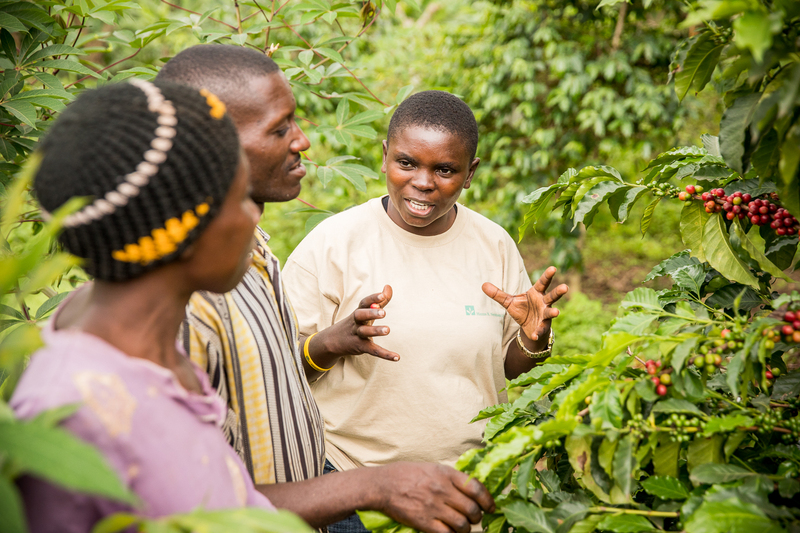 Coffee farmers take part in hands-on training activities, assisting them to find strategies which suit their needs. 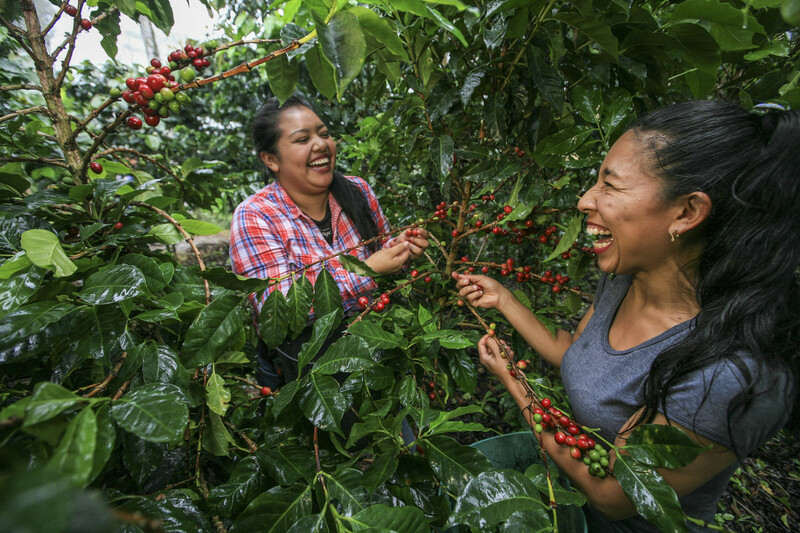 The Coffee Kids program partners with communities to foster the creativity and entrepreneurial spirit needed to protect the future of coffee farming. Founded in 1988, Coffee Kids was the first nonprofit within the budding specialty coffee industry dedicated solely to improving coffee farmers’ quality of life. Hanns R. Neumann Stiftung has built up a local network of partners at our main base in Hamburg. Their projects involve young people from disengaged areas with education, culture, music, art, and politics in order to integrate them into the local society and give them a perspective on their future lives. "The future of coffee begins with young farmers – but why should they care to continue producing?" "There’s a common thread: top-down campaigns do not sufficiently engage farmers", says Chris Wille. Sharing his piece highlighting the importance to work directly with farmers to make agriculture sustainable. Only they can achieve them - if empowered. Hanns R. Neumann Stiftung is in San Antonio Huista, Huehuetenango, Guatemala. Youth from our project in Huehuetenango, Guatemala proudly presented various new drinks they created using coffee pulp and coffee at the first Specialty Coffee Festival of the region. Several visitors from neighboring villages enjoyed a wonderful afternoon trying coffee pulp soda and cocktails, spicy lattes, coffee-oatmeal ice creams and slushy’s! Last year, we had the chance to collaborate with you and some of the project's youths. We had a great time sharing knowledge and experiences that went beyond coffee, the kind that enrichens life. I feel both happy and proud of these guys! Lo genial de las buenas ideas es que ¡se contagian! Felicidades por la iniciativa y la excelente calidad del café y cáscara, Alejandro Herrera. el cold brew de cáscara impresionante!!!!! mandenme !!!!! HRNS,do Extensiosts recieves facilitation during FFs shedule trainings? We HRNS uganda do wish you greatful deliberations during the expo. Hanns R. Neumann Stiftung is feeling sad in Guatemala. Drought has returned to Guatemalan coffee. After major difficulties in 2016 and at the start of 2017, recent rainfall in Huehuetenango is much reduced. Hanns R. Neumann Stiftung shared a link. Is this an AESA report in progress...? Hanns R. Neumann Stiftung is at Bahir Dar - ባሕር ዳር. Coffee remains one of the most important agricultural products in Ethiopia. Within the project Coffee Alliances for Ethiopia (CAFE) in the Amhara region we have established nine coffee cooperatives and the first and only coffee specific union in the region. We have been meeting with their leaders in the field to discuss progress and further project requirements to increase job creation and farmer families income. Coffee for health and wealth. Hanns R. Neumann Stiftung is celebrating success. Hanns R. Neumann Stiftung is in Guatemala. With the changing climate, adaptation and mitigation becomes ever more important for smallholder farmer families around the world. Find out, what HRNS is doing about this with the implementation of the Initiative for coffee&climate with partners like Lavazza in this The Guardian arcticle. Hanns R. Neumann Stiftung updated their cover photo. Hanns R. Neumann Stiftung is at Kec. Bpr Ranau Tengah. We attended a Farmer Field School activity on Pest and Disease that was organized by one of our Field Officers. The subject was delivered by the Field Assistant, Waris, in green shirt, in Sumber Jaya village. The activity was held in the house of one of the coffee farmers we’re working with. It is a traditional stilt house that is built to protect the family from animals like wild boar, which is one of the common pests of coffee farming in Sumatera. The host, Sutrisno served coffee for all of us that he planted, harvested in his farm, roasted and ground at home with finger food, whose ingredients are also taken from his household farm. During the discussion he said, “some farmers built electric fence wire around the farm to keep wild animals away, but over time, they found a way to break in and create serious damage in the farm”. This project is supported by Smucker's and International Coffee Partners.